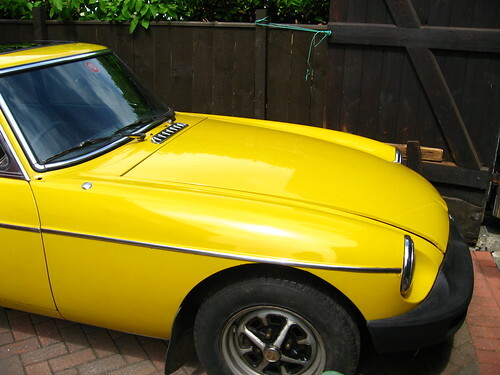 Back home and after a good wash the MG is looking very smart. Amazingly the tyres have stayed inflated, which is good as there will be quite a bit of parts to buy and if I can put off buying a full set of tyres for a while it'll help. A benefit of giving it a wash is seeing if the seals around the windows and sunroof were watertight - luckily they were.